Antony Johnston (UMBRAL, Wasteland, Daredevil) and Justin Greenwood’s (Wasteland, Resurrection, Stumptown) new sci-fi crime series with attitude THE FUSE will feature a variant cover by artist Jamie McKelvie (THE WICKED + THE DIVINE, Young Avengers) for its forthcoming third issue. "Even though Jamie is taller, younger, and better looking than me, I find it hard to resent him because he's so damn good,” said Johnston. “I've had the privilege of watching him develop over the years into one of modern comics' premier talents, especially for his cover and design work, and this awesome cover for The Fuse shows why. I have no doubt it will be our most ordered variant yet, which will only serve to further swell his big, tall head. Dammit." 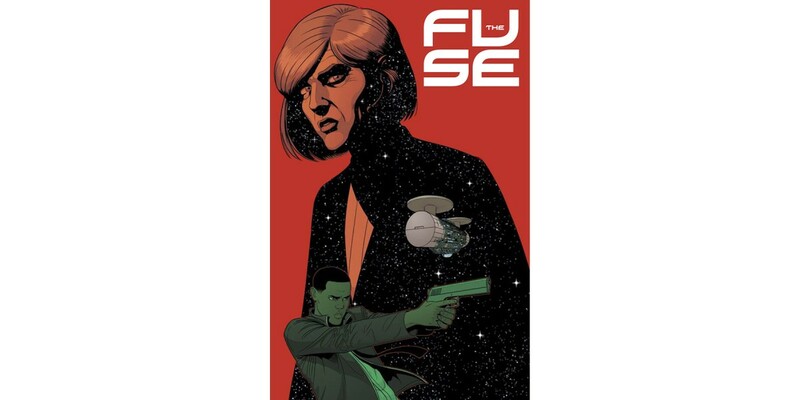 THE FUSE #1 and #2 are still in stock and available to order with Diamond Code JAN148309 and Diamond Code JAN140590 respectively for those just discovering this exciting new science-fiction series. THE FUSE #3 will hit shelves on 4/23 and can be ordered with Diamond Code FEB140603. Keep an eye out for the special THE FUSE #3 variant by Jamie McKelvie, which is available on the same day and can be ordered with Diamond Code FEB148223.